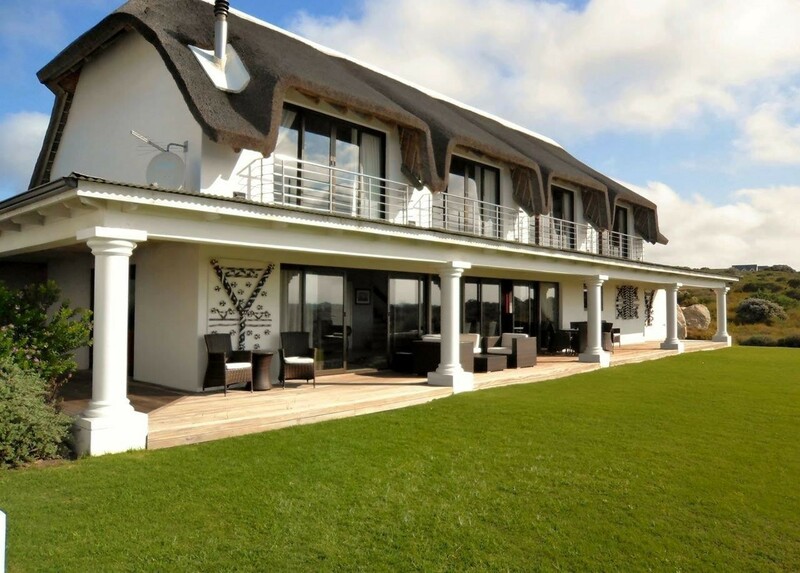 Presiding over the 1st tee of the Jack Nicklaus designed Links course, St Francis Golf Lodge is a place where golf enthusiasts can escape to indulge their favourite pastime and relax in the beautiful surrounds of St Francis Bay in Southern Africa. Thoughtful service, laid back comfort, and the opportunity to test your mettle on the best links course I have ever designed is all part of the St Francis Lodge experience. Guests can expect to leave this luxurious choice of accommodation with a replenished spirit and renewed love of the game. 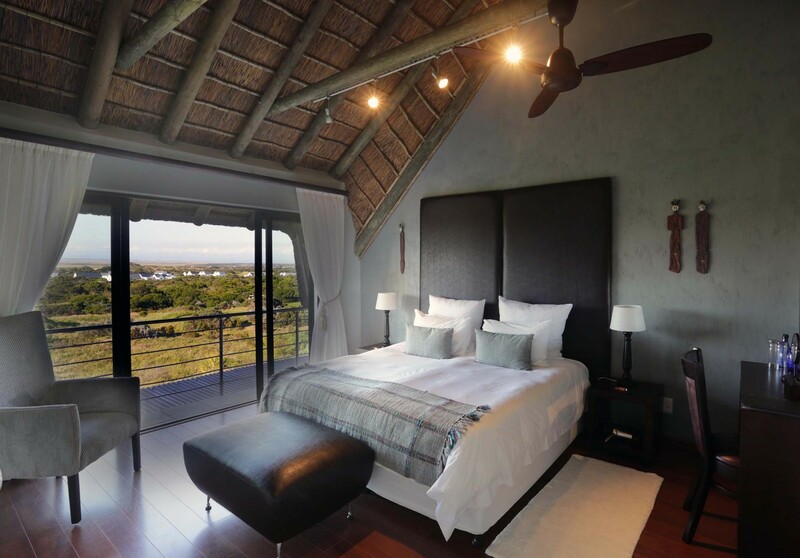 A divine combination of elegant African style and luxury awaits the visitor. 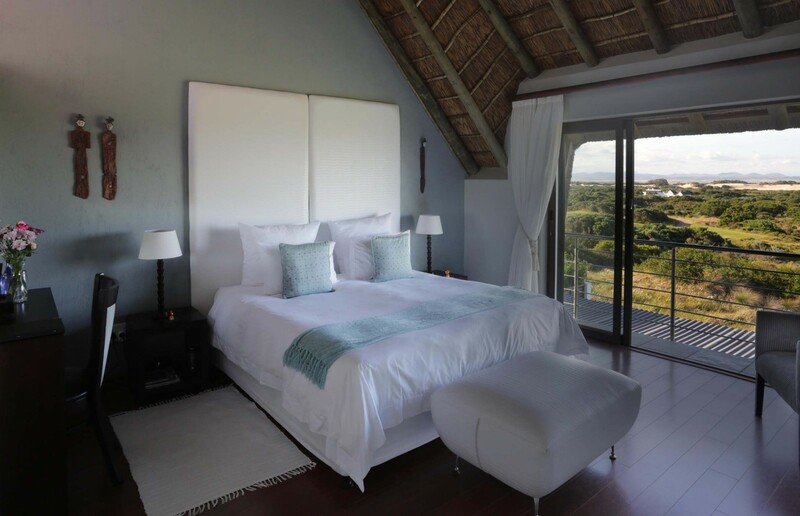 The lodge consists of two separate serviced houses, each with 5 luxuriously appointed en-suite bedrooms and several relaxed living areas that take in the sweeping views of the golf course, ocean, and the gentle waterways of the surrounding riverside thatched village. 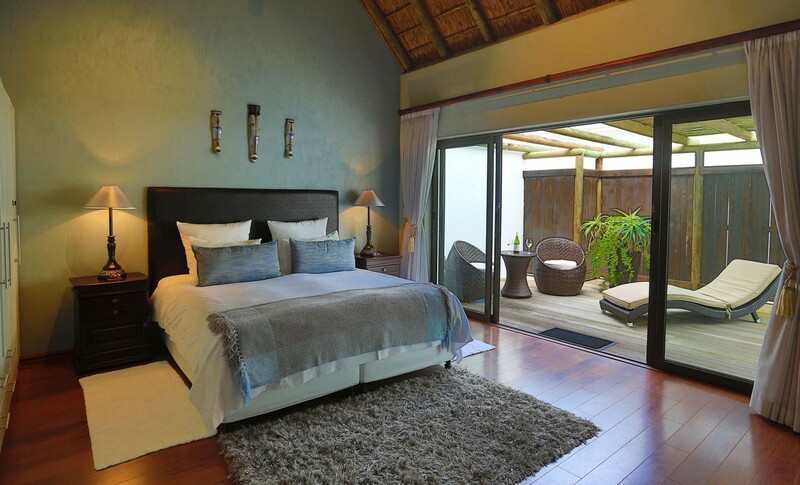 Relax in our 10 bedrooms of which 8 are golf-course facing and have beautiful double showers. 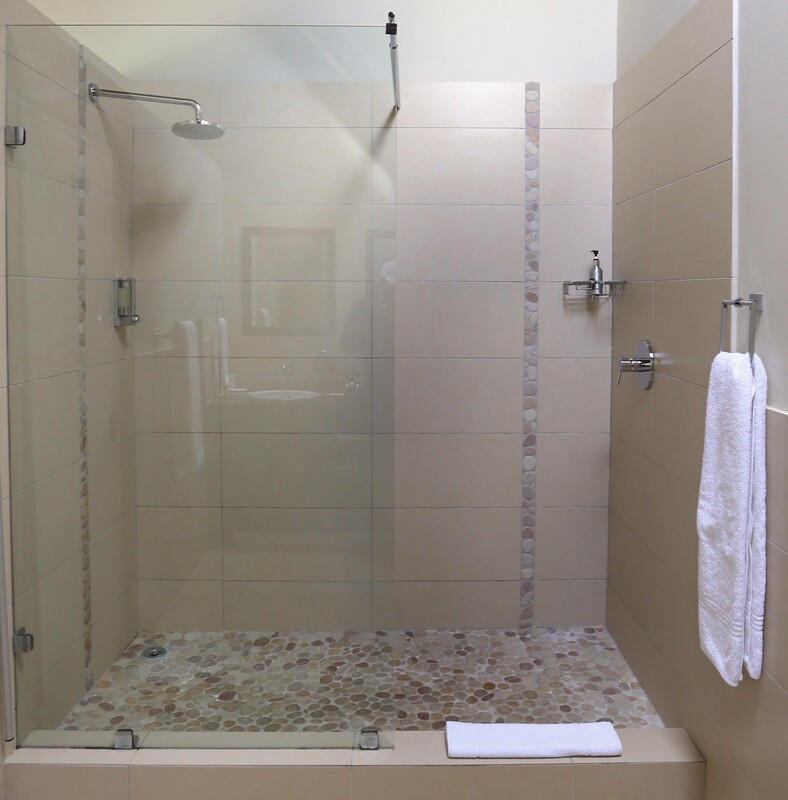 The other 2 rooms have both bath and shower as well as an outside shower on the enclosed patio. 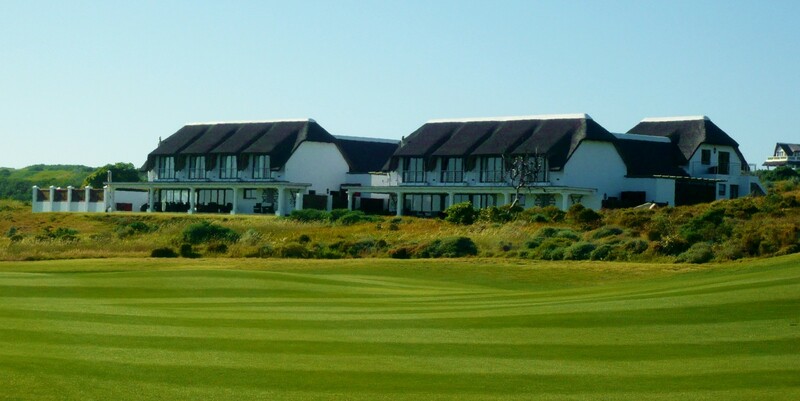 Feast on a scrumptious homemade breakfast on the verandah before teeing off – we provide temporary membership at The Links to enable guests to play the course at reduced rates – only R400 – and enjoy the luxurious facilities at The Links Club House. Spend the afternoon relaxing on a deck chair besides the Lodge‘s seculed pool, but don‘t miss the decadent traditional afternoon tea held at the Clubhouse just 70 metres away. The 19th hole is the perfect place to reflect on the day’s play with your fellow golfers. This is also the best place to come and watch sporting events, with two 42 inch plasma televisions and on colder days, a crackling fire will accompany your glass of wine. 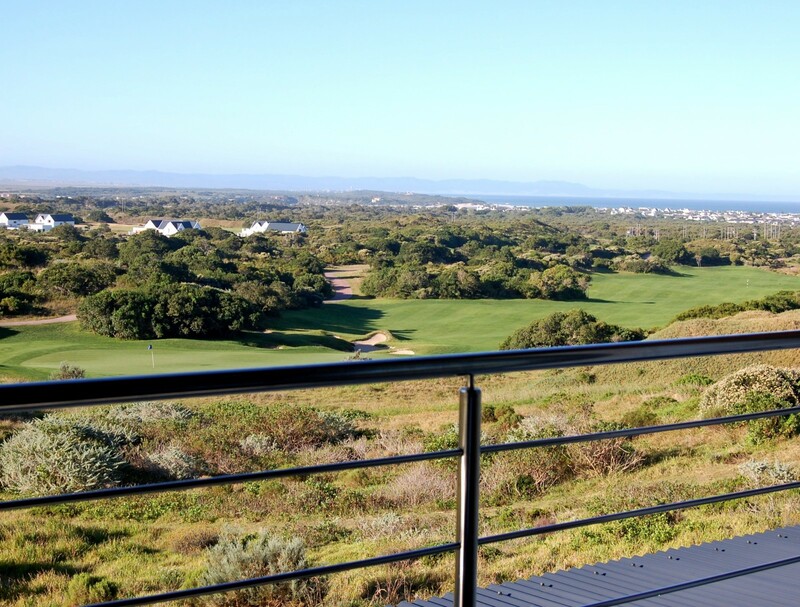 Presiding over the 1st tee of the award winning Jack Nicklaus designed St Francis Links, St Francis Golf Lodge is a place where golf enthusiasts can escape to indulge their favourite pastime and relax in the beautiful surrounds of St Francis Bay in Southern Africa. 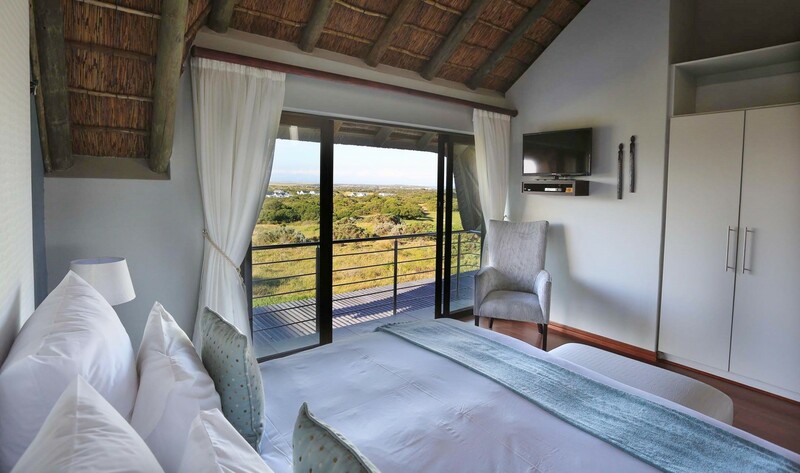 Thoughtful service, laid back comfort, and the opportunity to test your mettle on one on the Top 10 courses in South Africa, is all part of the St Francis Golf Lodge experience. Guests can expect to leave us with a replenished spirit and renewed love of the game. 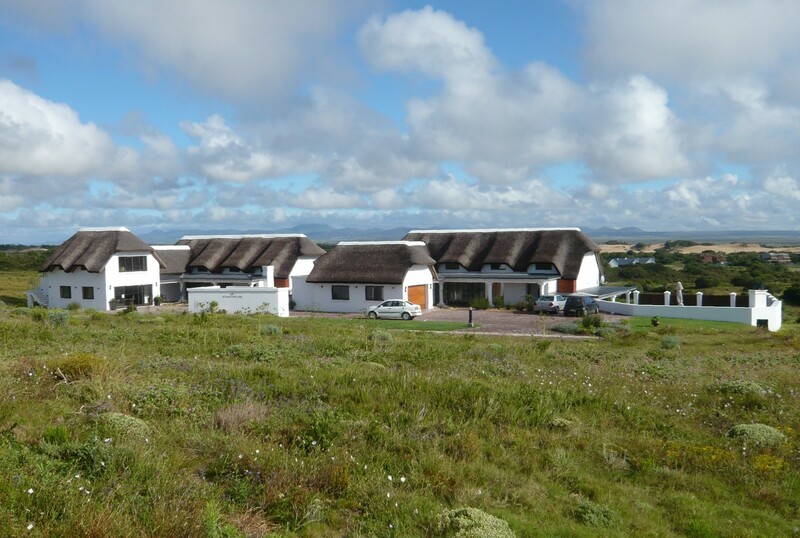 The Lodge comprises two five bedroom houses adjacent to each other and it is located within walking distance of The Links Clubhouse. 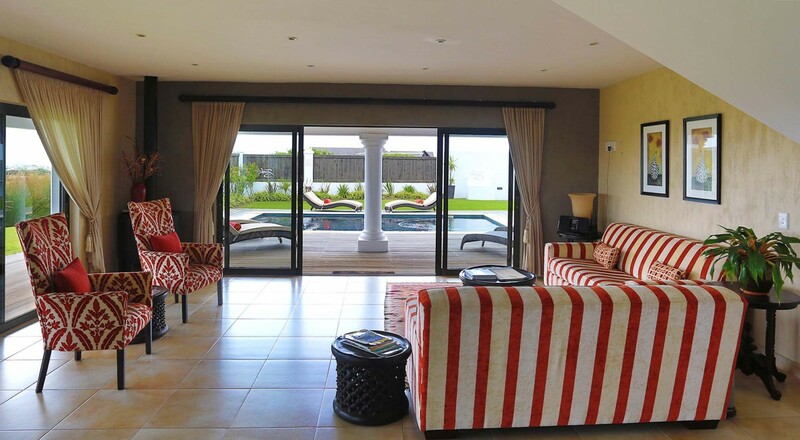 Guests have access to both houses and the facilities are shared by all. 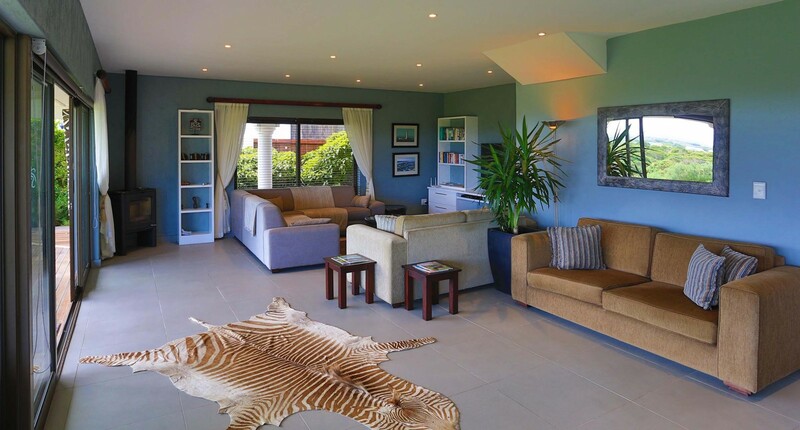 Each house has a spacious open plan lounge and dining room area with free internet access, an honesty bar and a complimentary tea & coffee station. 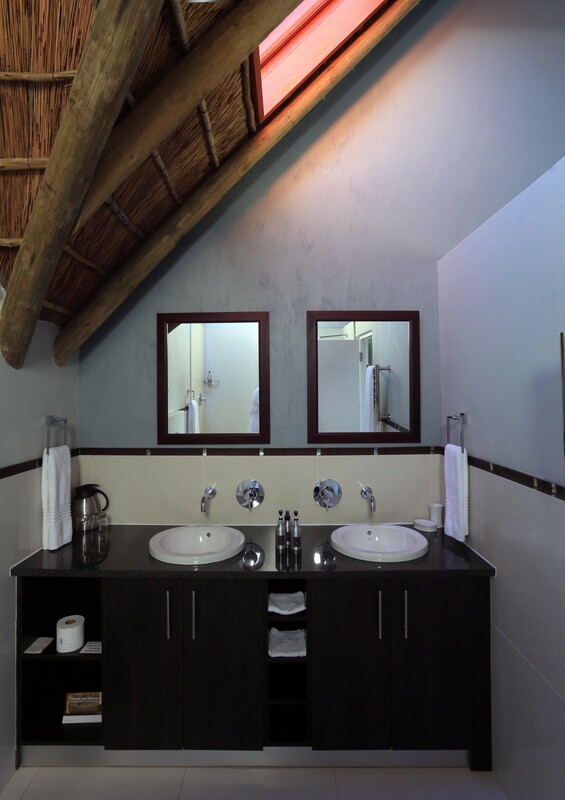 Stay in one of our 10 stylish en-suite rooms each equipped with a tea tray, ceiling fan, heater, safe, hairdryer, guest amenities, free Wi Fi and flat screen TV’s with hospitality DSTV channels. 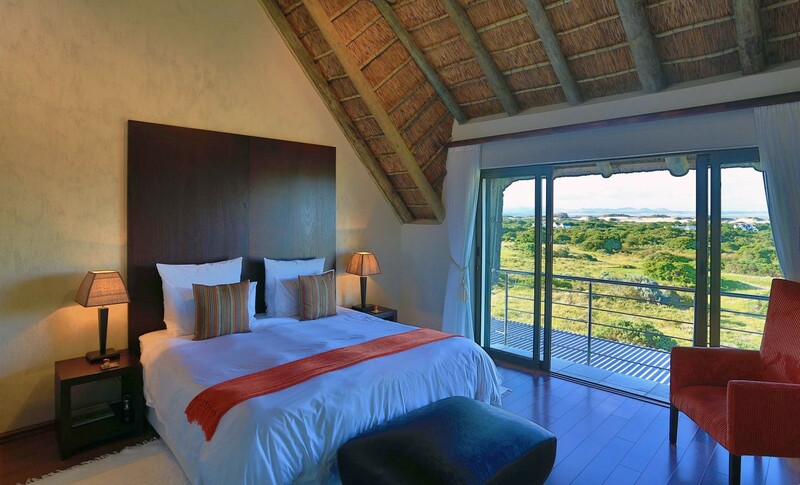 Eight of our Double/Twin en-suite bedrooms have large walk-in showers, double vanities and standing balconies with views of the golf course, the ocean and the mountains in the distance. 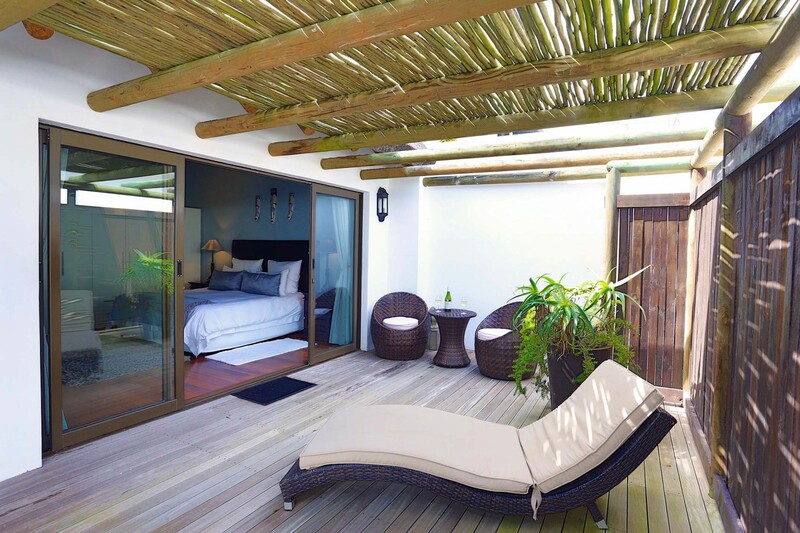 The remaining two bedrooms have full en-suite bathrooms (bath, shower, single vanity) as well as large private patios with outdoor showers. These rooms do not have views of the golf course but they are more spacious and are at street/entrance level (no stairs). 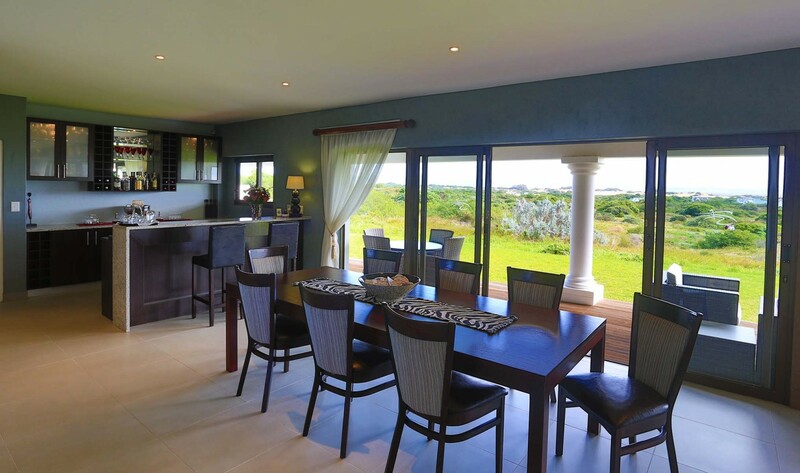 Designed by golfing legend Jack Nicklaus – the award winning St Francis Links has put St Francis Bay on the golf-map and has captured the imagination of all golfers who simply love the game. Jack himself describes the course as ‘the best links course I have ever designed’. The course demands a wide range of shots because of its unprotected exposure to the elements, its undulating and often unpredictable terrain, the fine coastal grasses and firmness of soil. It may not be as "pretty" as a traditional course, but it possesses an untamed raw beauty that is both inspiring and challenging. A true Links. 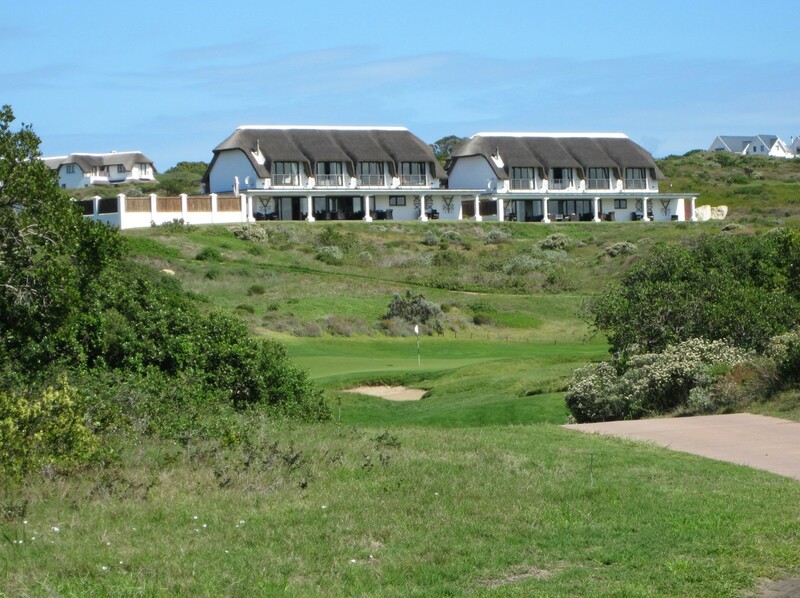 The Clubhouse - considered to be one of South Africa’s best on-course facilities - is just a two-minute stroll from the Lodge. Besides The Links Restaurant, Jack’s Bar and the Halfway House, the facility also boasts a conference room, two lounges, the golf shop, locker rooms for players and an excellent spa with fully-trained therapists ready to offer signature treatments. A swing by the golf academy will allow you to finesse your technique. The Clubhouse is open from 6h30 daily for breakfast & lunch and on Monday & Wednesday evenings for dinner. 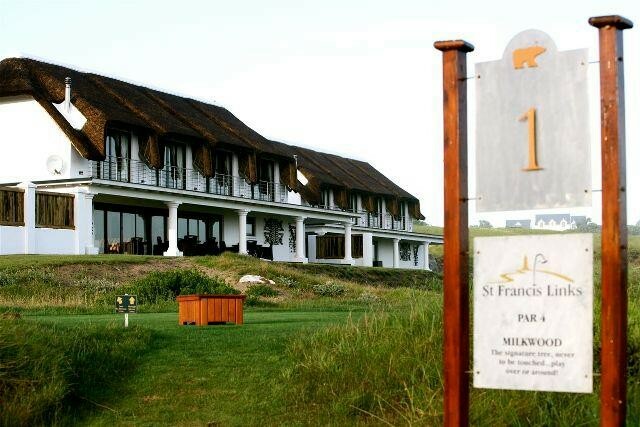 St Francis Links voted "Top 10 Golf Courses in S.A." by Golf Digest. Take the N2 in the direction GEORGE & PORT ELIZABETH. You will pass (among others) the towns of Swellendam, Mossel Bay, George, Wilderness, Sedgefield, Knysna, Plettenberg Bay & Tsitsikamma. About 1 hours drive from Tsitsikamma take the exit on your left to HUMANSDORP, ST FRANCIS BAY & CAPE ST FRANCIS. Turn right onto the bridge crossing the N2 this road takes you through the town of Humansdorp and at the end of Main Road (at the T-junction) turn left and follow the signs to St Francis Bay (+/- 15 km). The entrance to St Francis Links is on the right of the traffic circle (3rd exit), at the entrance to St Francis Bay. 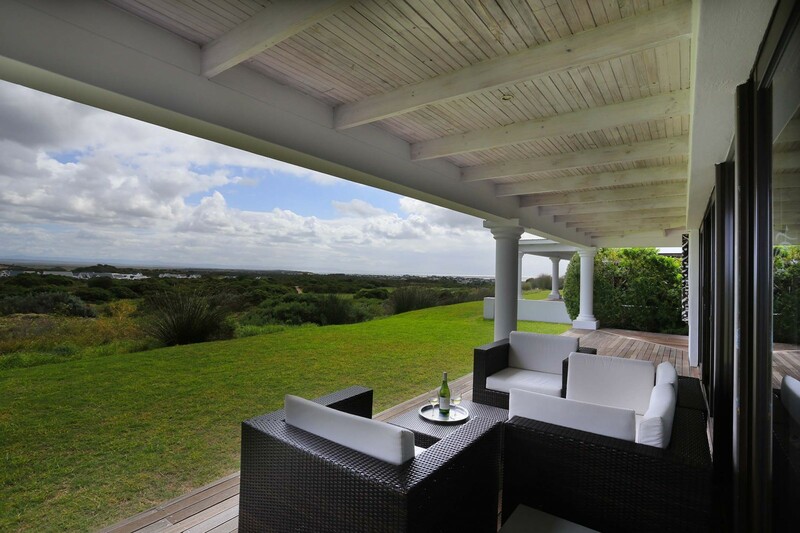 We are situated at 8-10 Jack Nicklaus Drive, St Francis Links Golf Estate. Enter through the main security gate and follow the signs to the Clubhouse. Turn right into Jack Nicklaus Drive (the first road on your right). We are on your right as you pass thorough the security access boom. Take the N2 in the direction of Cape Town. You will pass among others 2 exits to Jeffrey’s Bay before you reach Exit 665 on your left to HUMANSDORP, ST FRANCIS BAY & CAPE ST FRANCIS. Take this exit and then turn left in the direction of Humansdorp. Drive through the town of Humansdorp and at the end of Main Road (at the T-junction) turn left and follow the signs to St Francis Bay (+/- 15 km). The entrance to St Francis Links is on the right of the traffic circle (3rd exit), at the entrance to St Francis Bay. 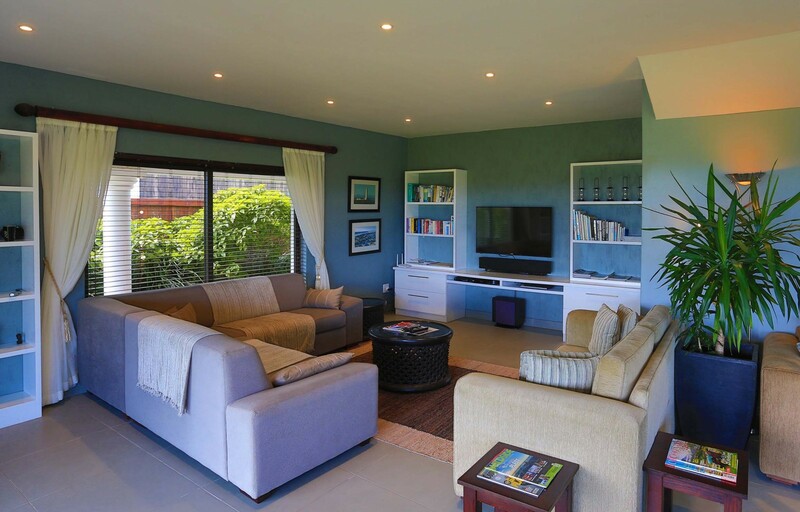 We are situated at 8-10 Jack Nicklaus Drive, St Francis Links Golf Estate. Enter through the main security gate and follow the signs to the Clubhouse. Turn right into Jack Nicklaus Drive (the first road on your right). We are on your right as you pass thorough the security access boom.